Jochen Schümann is a German sailor born in 1954 in East Berlin. In 1976 he competed at the Summer Olympics in Montreal, winning a gold medal in the Finn class. He also competed in the Soling class at the 1988, 1996 and 2000 Summer Olympics winning a further two gold medals, as well as one silver, in this class. As a sporting director, Schümann participated and won the America's Cup in 2003 and 2007 for Swiss Team Alinghi. He is currently involved with ALL4ONE Challenge in the Louis Vuitton Trophy. 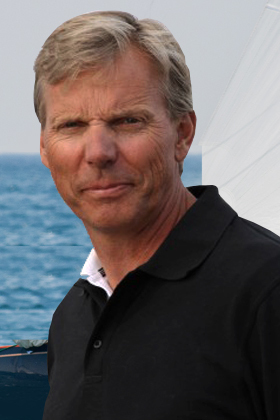 In 1996, Jochen Schümann received the World Sailor of the Year Award from the International Sailing Federation.